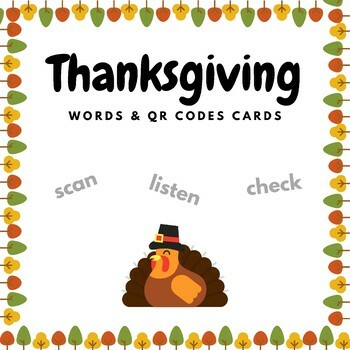 This product includes a set of cards with Thanksgiving vocabulary words and QR codes linked to the read aloud words. Write the room: hang the QR codes cards around and have the students scan, listen and write they word. 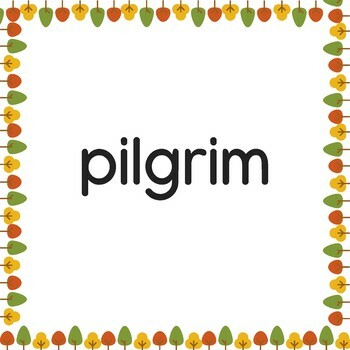 If you print the code on one side and the word on the other, they can self-correct as they complete the activity. To increase the difficulty you can ask them to invent a sentence with that word. 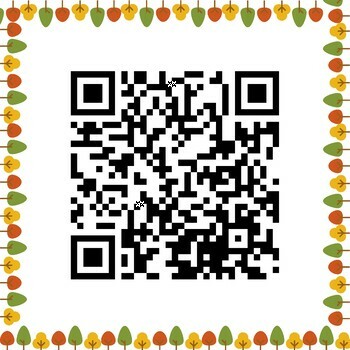 Memory game: have the students match the Qr codes cards with the word cards. To make them use the language, you can also ask them to make a sentence with the words or even invent a dialogue: the classical game with a twist! Word Wall: use the word cards to simply revise vocabulary. 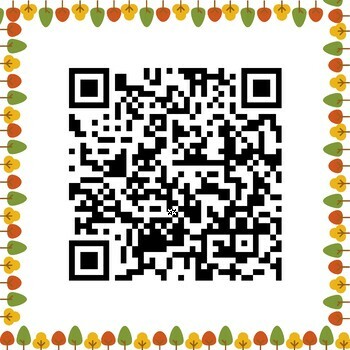 Please, rate the product if you find it useful!